Duration – IDC 10 days, IE 2 days. Additional cost – PADI fees and materials. Complete your IDC with Adang Sea Divers and then teach SCUBA Diving around the world. As a PADI 5-star IDC Dive Resort we are the only shop on Koh Lipe able to teach the PADI Instructor Development Course allowing Divemaster’s to Upgrade to PADI Instructors. Our IDC course is taught by, Bent Posejpal, Thailand most experience and successful Platinum Course Director. Adang Sea Divers and Bent together teach to the highest level of standards, ensuring that this course will not only give you the greatest chance of passing the PADI Instructor Exam (IE) but also giving you the best start in your new life as a PADI Instructor. The course is run over a period of 10 days and split into 2 sections: the Assistant Instructor (AI) and the Instructor Development Course (IDC). The AI and IDC are taught with a mixture of classroom presentations, confined water skills demonstration and practice, dive theory, dive skill briefing and open water skill practice. After completion of the IDC you will move on to the Instructor Examination (IE). This takes place over 2 days during which time a PADI Examiner will come to Ko Lipe and you will be tested on your knowledge of diving, PADI standards, classroom presentations, confined water and open water skill demonstrations. Dive into a New Career Today! We give all and encourage IDC candidates the chance to arrive to the island prior to when the course starts to assist on courses, guide fun dives and practice dive skills, all free of charge. Emergency First Responder Instructor course. Unlimited free dives in your free time. Daily lunch, refreshments, tea, coffee and Wifi. What can teach once certified PADI Instructor? PADI fees below are paid directly to PADI on the day of the IE. You also need PADI Instructor Crew Pack which you can order yourself or can purchase with us for 17,500 THB. 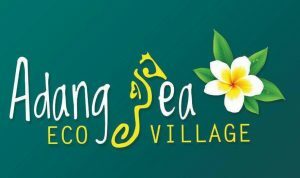 We offer guest in our Eco-Village 10% discount on the PADI IDC course. Please click to check our room availability, rates and to book a room. We have two locations at Eco Lodge with fan rooms and Eco Village offering Air-con. If you are considering completing the PADI Instructor Course but don’t have 100 dives or not yet a PADI Divemaster, please contact us and we can assist with making up the prerequisites. Are you dreaming of living the dive life but haven’t yet taken the plunge?